VRP creates awareness of various platforms available for students to assess and improve their potential on their own. 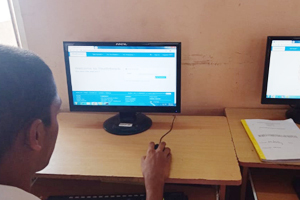 Taking on line tests and courses for augmenting their skills with the guidance of faculty enables them to present a talent enhanced profile to the employer. Youth4work.com is a “Platform” which empowers youth to assess themselves, improve their talents and showcase themselves in terms of their talents and professional achievement. 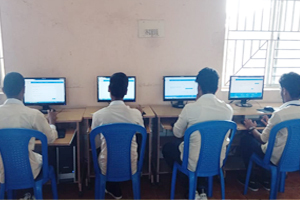 It provides options for different types of tests like talent, prep ,psychometric, typing besides providing a space for learning through different online and offline courses. It maintains a database of profiles of registered candidates which can be viewed by the employers. It helps both the job seeker and the job provider. A job seeker, can build his profile at Youth4work, give free online talent tests. He can add blogs and work portfolios, like projects etc to make the profile more impressive and improve his ranking. Friends can also provide recommendations which enhances his ‘talent profile’. The system , lets one know who viewed the profile, when and where. Students were motivated to do the following tasks so that they are noticed by job providers.